Again, another week spent on OpenGL. I don't know why but I cannot stop to experiment with Meshes, Vertexes, Faces and Textures. It's too amusing! But Todays, post it's just an update of GLData, the small gl data library that I use for my experiments. The new features, for this update are: Speed-up in GL throughput, and Camera. I've adjusted data structure to use directly glVertexPointer() and related gl*Pointer() functions. 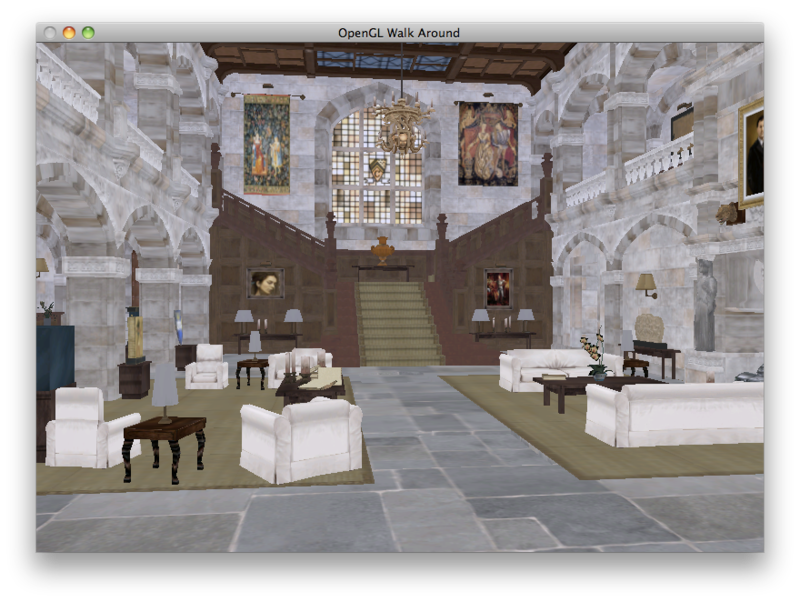 The main.c file was adjusted to handle direction keys (Up, Down, Left, Right) to allows you to walk in your 3d world, like any First-Person shooter video game. PS: For my Qt followers, and for those which they are waiting for my File-System/Distributed Computational System: I haven't forget Qt and the lovely memset(); I'm just exploring a bit (give me some week), a world that I've completely ignored.